Slim Jxmmi got into a fight with a DJ who allegedly refused his song request on Saturday night (April 6). The Rae Sremmurd member and his brother Swae Lee were in Jacksonville to perform at the University of North Florida’s OZ FEST. The altercation didn’t occur during the event though, instead taking place at a local nightclub. According to TMZ, Slim became upset after the DJ refused to play a song the Interscope Records artist requested. The two exchanged words back-and-forth before things took a chaotic turn. Footage shows Slim leaping into the DJ’s area and throwing a punch before people stepped in to break up the skirmish. No cops were called since the tense situation reportedly defused itself quickly. Slim rejoined Swae onstage after taking some time to collect himself backstage, and the DJ actually completed his set too. Check out footage of Slim’s clash with the DJ above. 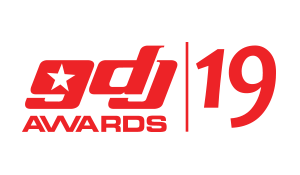 The Ghana DJ Awards was created to celebrate and appreciate the talents of Disc Jockeys (DJs) who promote Ghana music. The Awards is an exciting annual program designed to foster the development of the Ghana music industry by rewarding and celebrating Radio, Mobile and Club Disc Jockeys who have excelled in their fields of endeavor. ENCORE: DJ Nyce to Clash with Premium Band this Saturday! Do You Know the World’s Oldest DJ? Meet The 83 Year Old Woman Rocking the Crowd! 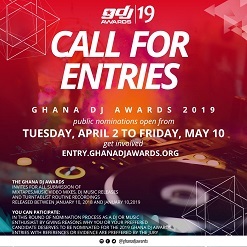 The Ghana DJ Awards was created to celebrate and appreciate the talents of Disc Jockeys (DJs) who promote Ghana music. The Awards is an exciting annual program designed to foster the development of the Ghana music industry by rewarding and celebrating Radio, Mobile and Club Disc Jockeys who have excelled in their fields of endeavor.